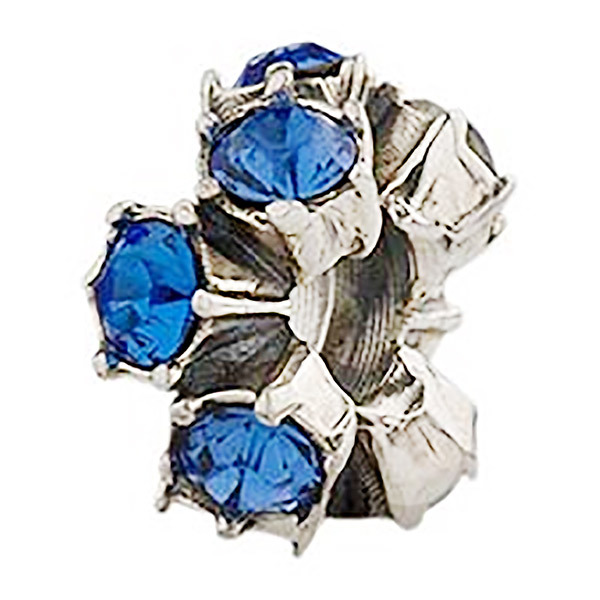 Sapphire crystals burst from the center of this dramatic and edgy, oxdized sterling silver charm. 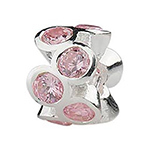 This charm features a threaded core for compatibility with most brands of interchangeable bracelets. Approximately 11.4mm x 6.2mm x 11.4mm in size.